Signature Pointe - Centrally located 1-bedroom apartment. Spacious in-suite storage room and ample closet space. Professionally managed, with secure entrance. Laundry on each floor. Designated parking with plug-in and visitor parking available. Rentals are allowed, no pets allowed. 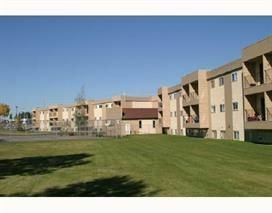 Walking distance to CNC, shopping, and bus route to UNBC. Quiet location. Quick possession. Great for students, investors, or retirees. All measurements are approximate, and buyer is to verify if important.